1 postcard; The entrance of the college. The builing in the background is Russ Hall. 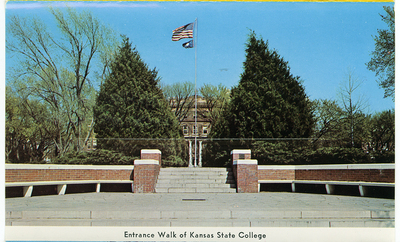 6 postcards; Souvenir postcards from the Kansas State College of Pittsburg.